Caption slip reads: "Daily. Photographer: Richardson. Date: 1953-07-21. Reporter: Swaim. Assignment: Found monkey, Pasadena. 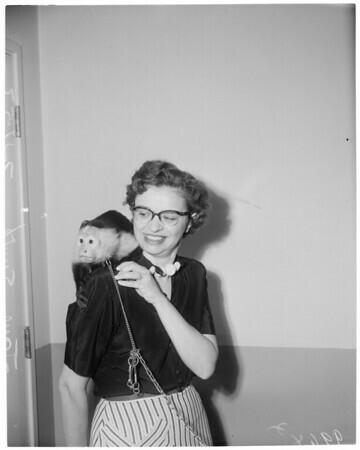 K3-4: Jane Smith, Pasadena police secretary, with monkey brought in as 'found property'."